Young people in care benefit from the psychological, emotional and social support gained via social media networks - according to new research from the University of East Anglia's Centre for Research on the Child and Family (CRCF). Until now, the automatic assumption has been that platforms such as Facebook, Instagram and WhatsApp only pose a risk for this vulnerable group. But social media can help young people living in state care maintain healthy and appropriate birth family relationships and friendships, make new connections and ease transitions between placements and into adult independence. The research is published today in the British Journal of Social Work, ahead of Safer Internet Day 2018 Tuesday, February 6, 2018. Researchers investigated how young people living in state care can benefit from social media use. Lead researcher Dr Simon Hammond undertook more than 100 visits to four residential care settings in England over seven months. During this period, he conducted in-depth observations on how 10 young people routinely used social media in their everyday lives, as well as conducting focus groups and interviews with the young people and their social care professionals. Dr Hammond said: "Young people in care face harder, faster and steeper transitions into adulthood with fewer resources than their peers. "Placement instability often leads to young people feeling abandoned and isolated at points in their lives when they are at their most vulnerable. "The young people we worked with talked about how many friends or followers they had on social media. And it was the contacts outside their immediate state care environment that young people saw as their most precious commodity." Having positive online networks helped young people in care gain 'social capital'. Digital networks were found to help bond a fragmented social life and act as a bridge beyond the immediate care-home environment. "Having a strong social support network helps with the physical and psychological isolation reported by young people in care," said Dr Hammond. "We found that emotional support from people outside the care environment was very important. Keeping up to date with friends and, in some cases birth family members, about everyday life events really helped provide a sense of belonging and connectedness." The study shows how platforms like Facebook can contribute to increased self-esteem and mental well-being, which is particularly helpful for young people in care who frequently report feeling worthless, depressed and isolated. Dr Hammond said: "Stigma and shame are described by many young people in state care. We found that social media provides a window to life before being in care and a way of distancing themselves from it. "The risk of homelessness is a problem for young people transitioning from state care but it's an area where using social media could help. "If young people can reconnect with, create and maintain networks, they have a better chance of accessing supportive networks when it comes to things like finding accommodation." Social media also gave young people the chance to network with organisations that could help them with opportunities for personal progression. However, they were not always keen to 'like' or 'follow' organisations that highlighted their experience of state care because it left them vulnerable to stigma. "Communication via social media carries risks for all users. However, these risks do not stop their usage. Understandably, from the perspective of staff at residential care homes, there was a lot of concern about how best to monitor internet use but we need to be engaged in this digital space to help protect society's most vulnerable young people." "A digital resilience informed approach, which recognizes digital vulnerabilities and seeks to empower the susceptible to navigate toxic elements of using digital and social media in the context of supportive relationships, enables social care professionals to support young people to engage in this digital space. This is important as our research reveals that social networks need to be viewed as an important resource for psychosocial support and that the risks shift as young people mature and progress towards independence." 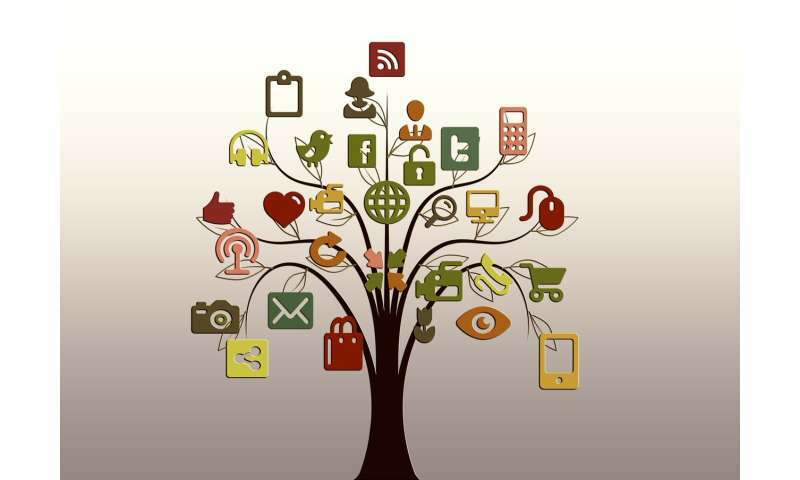 "Social work policy and practice needs to start to look at how connections created or maintained via social media can have benefits beyond the young peoples' time in care. This longer-term view is vital, as the outcomes for young people do not stop once they leave care. "We are not advocating a social media free-for-all or presenting social media as a magic wand. But there are positive ways to encourage young people to engage." Commenting on the new findings, NSPCC associate head of Child Safety Online, Andy Burrows, said: "At the NSPCC we know that the internet opens up the world for children and gives them a space to play, learn and connect. "This valuable piece of work makes clear the benefits of social media for looked after children and we welcome this contribution to the understanding of the impact of online. However, social networking carries risks as well as benefits and there is a responsibility on social media sites to make their platforms safe for their young users, including looked after children who can often be particularly vulnerable, so that they are free to enjoy the online world."